We'll finally get a look at Respawn's Star Wars game during Star Wars Celebration. Star Wars Jedi: Fallen Order has been under wraps for a long time, but that's finally changing this April during Star Wars Celebration. As announced on StarWars.com today: "In a special panel on Saturday, April 13, EA and Respawn will pull back the curtain on Star Wars Jedi: Fallen Order, in which gamers will meet a Padawan who survived Order 66 and explore the galaxy in the time after the fall of the Jedi Order." Before moving on to other games, the post states that "The discussion will feature never-before-released details ahead of the game’s fall 2019 release." Hopefully we'll get more than just details: it's about time we got to see what this game looks like, too. 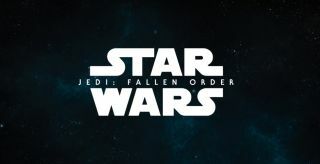 The wording reaffirms that Fallen Order is due out this year. This year's Star Wars Celebration runs from April 11 - April 15 in Chicago. Alongside Fallen Order, we'll also apparently see something new from Star Wars: The Old Republic. And probably a trailer for that new "Episode IX" Star Wars movie J.J. Abrams is making.